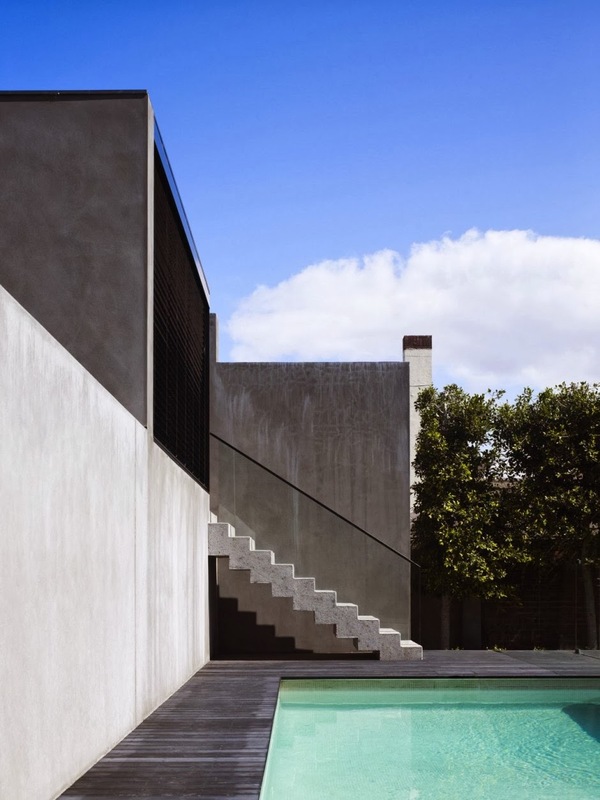 Located in Melbourne, Australia, this residence, built in 1929, has been restored by the architects of Carr Design Group into a contemporary family home. 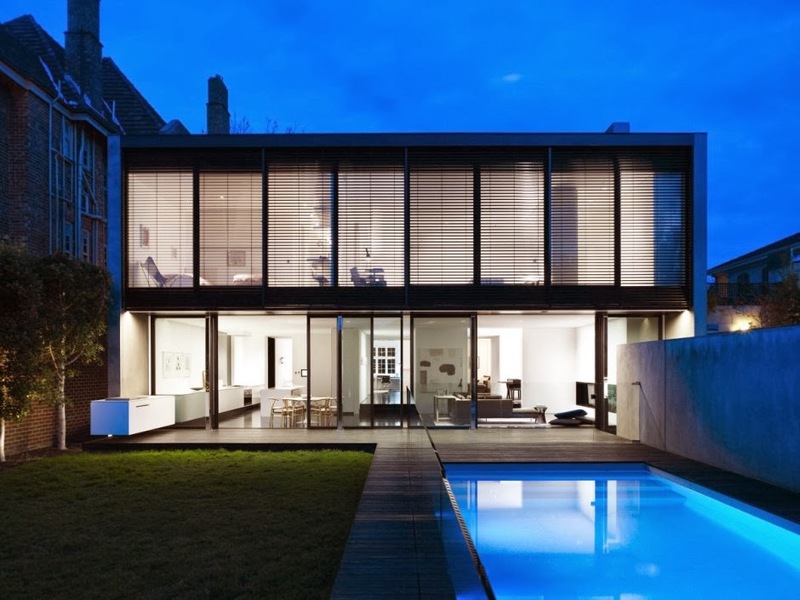 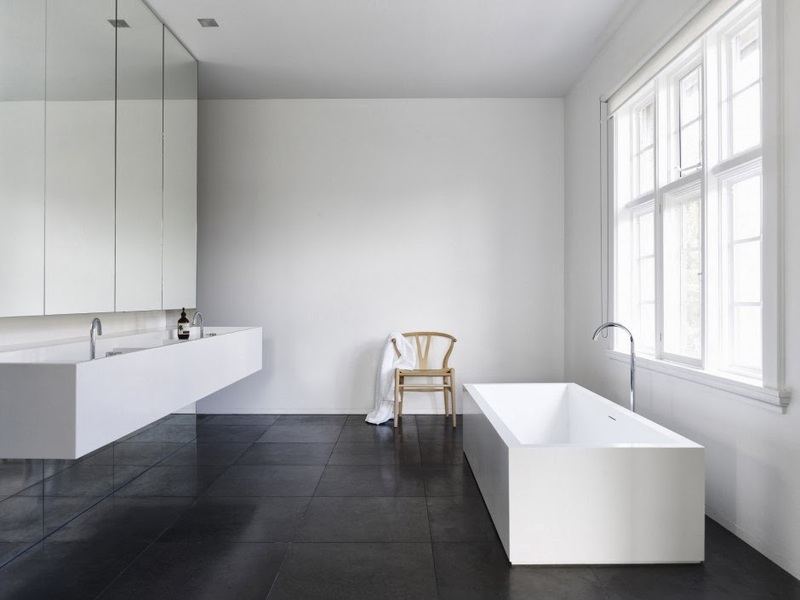 The property retains its original character while modern detailing has been added, such as a two story glazing to the rear facade, a large skylight and a minimalist, striking black staircase. 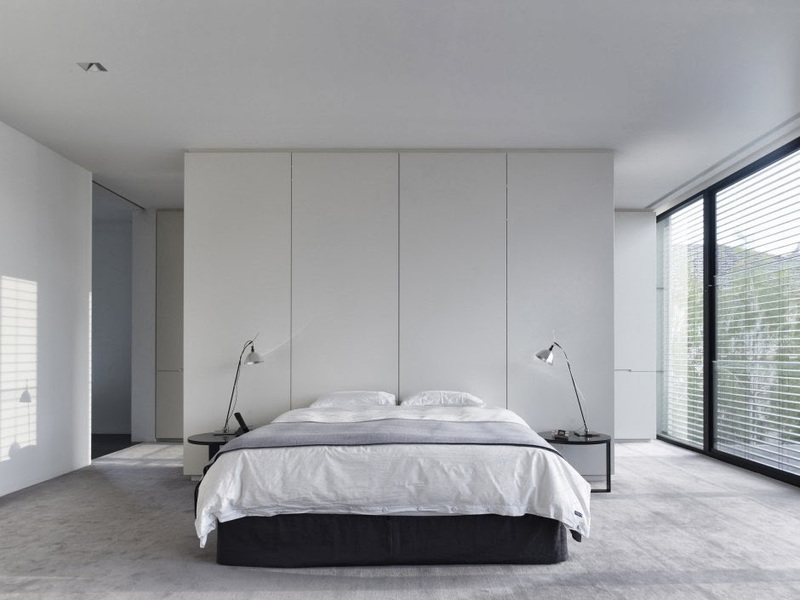 The resulting spaces combine simplicity, elegance and intimacy in a light filled, comfortable, contemporary environment. 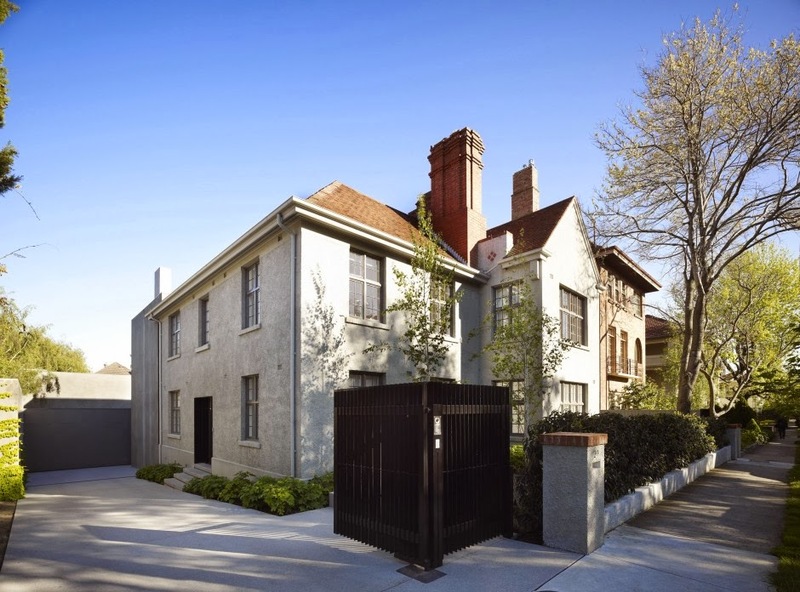 Built in 1929 the property began life as two duplexes, one of which was originally inhabited by the famous artist Sunday Reed before her move to Heide Gallery. 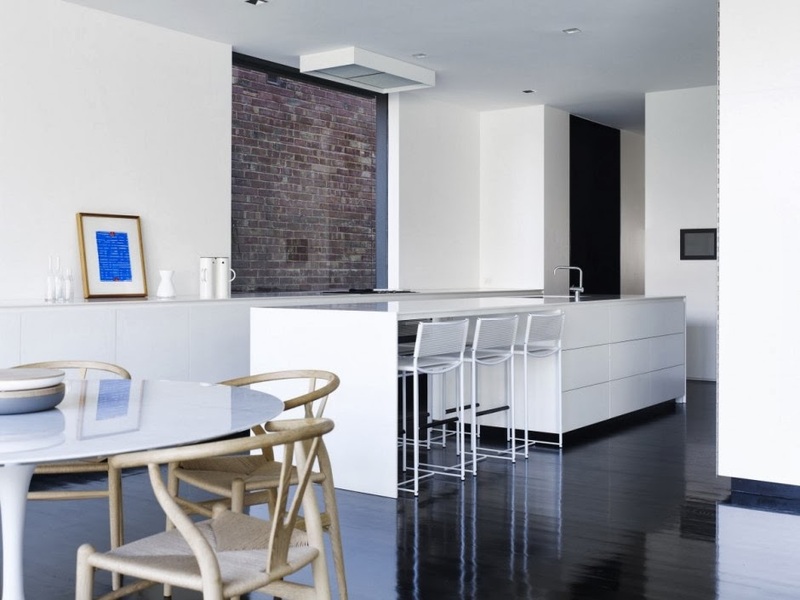 Positioned in Melbourne’s Domain precinct, this residence meshes the character filled historic architecture with the crisp detailing of a modern addition. 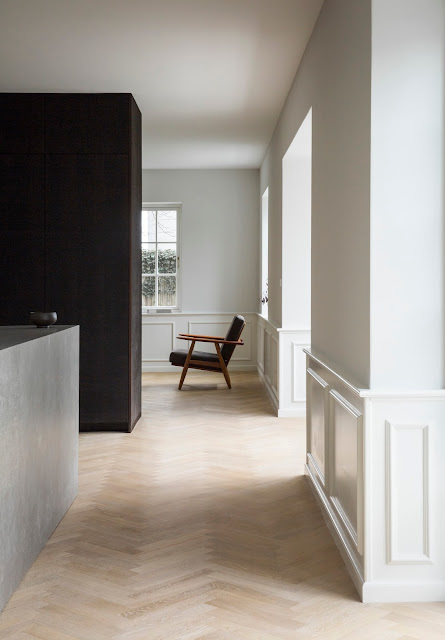 Restoration of the dwelling internally and externally and thus creating united spaces was a key driver with the project architecturally, with the former expressed as an imposing building in the streetscape composed of many forms, including French Chateaux, Edwardian and Victorian. 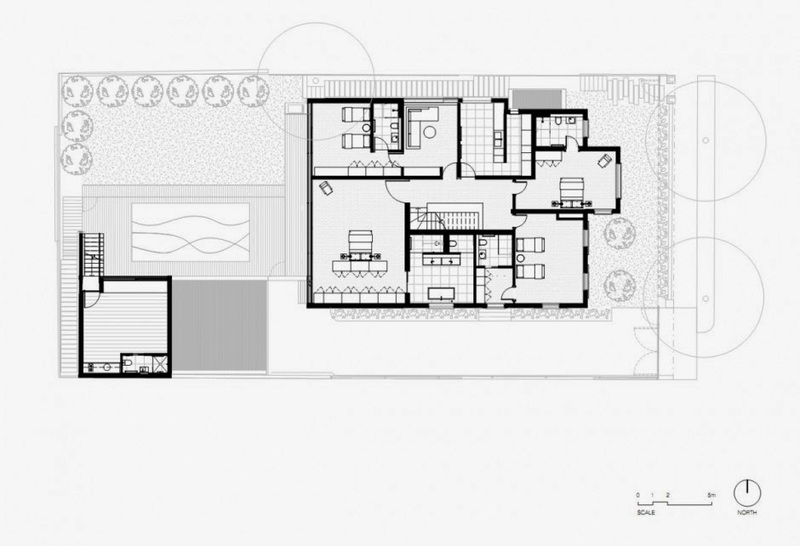 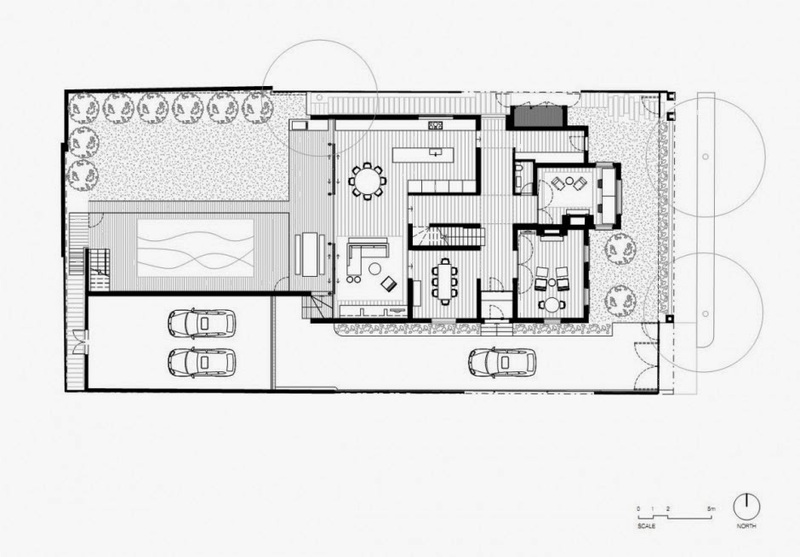 The architectural masterplan sought to celebrate the original structure and well proportioned spaces whilst updating them to provide a cohesive series of interior spaces to suit a family of five. 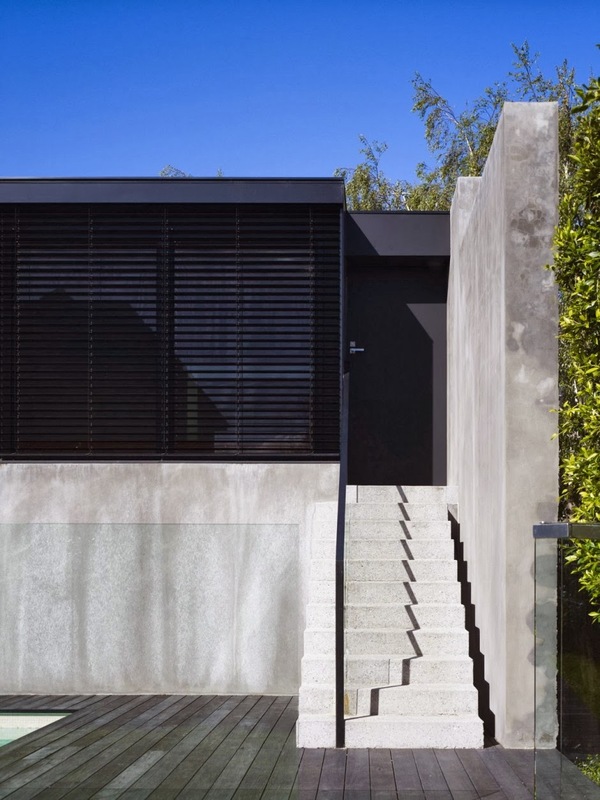 A bold two storey glazed structure was added to the rear west face of the property to bring light into the heart of the home, defining a new circulation core to the building. 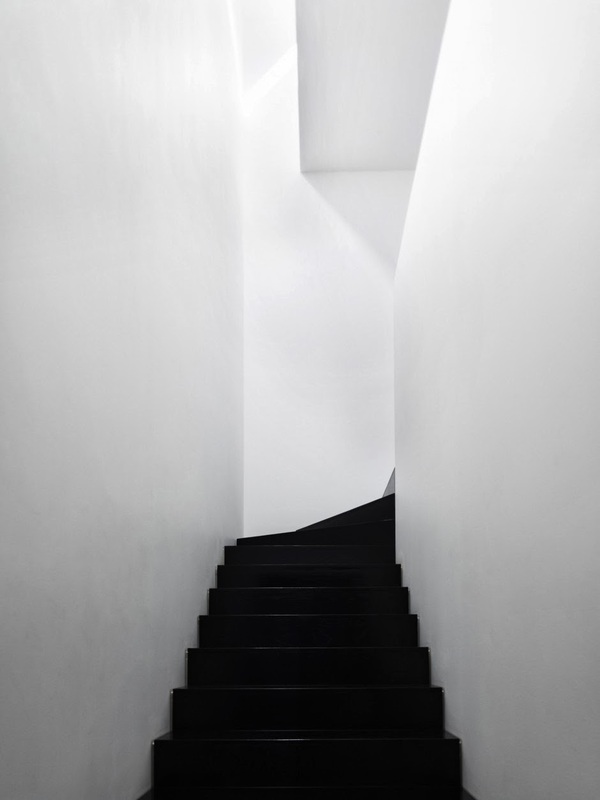 A large glazed skylight tracks the path of the sun throughout the day, filling the interior with light. 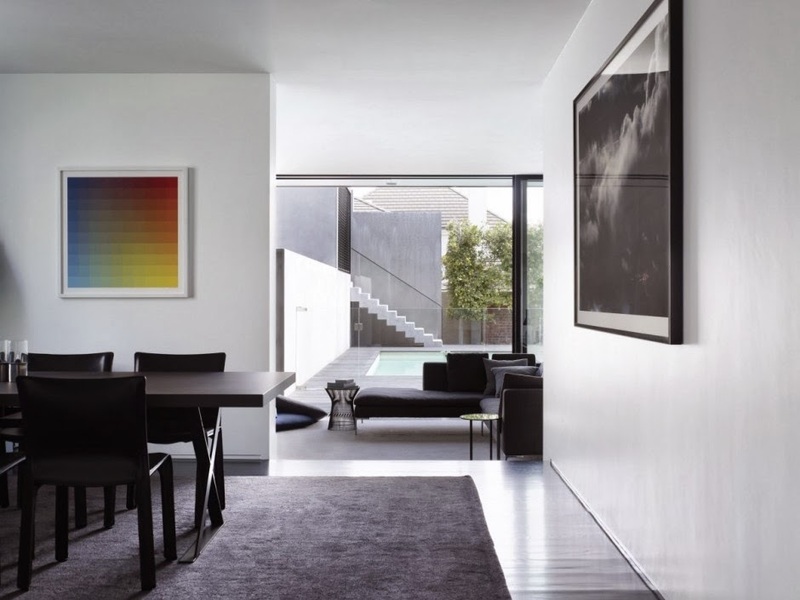 Openings are lined with the introduction of steel portals and framing devices for reveals, panels and blades, marking the transition from original form to contemporary space, existing built form with that of the new, highly contemporary addition.